When the American Motors Corporation had been formed stateside in 1954, it was the marriage of two great automotive pioneers: Hudson and Nash. A de facto amalgamation was ordered immediately to streamline the Canadian operation. Though the two sales entities remained separate in the Dominion, Hudson production ceased in Tilbury, Ontario and was transferred to the Nash plant in Toronto over the Civic Holiday weekend. American Motors of Canada, Limited was formally incorporated in January of 1956, nearly two years after its American parent. For the 1956 model year, only Nash and Hudson Ramblers were assembled in the Toronto plant. Records show that 5,584 cars rolled out the doors, a high point for the independent automaker. 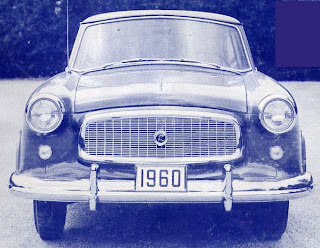 For 1957, Rambler was no longer a model of Nash or Hudson; it became a brand in its own right. 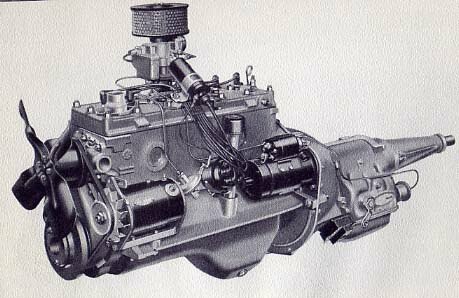 Head office in Detroit determined that it would be too costly to retool the Toronto facility for the 1958 vehicles. It would be cheaper to import the cars than to assemble them domestically. More than 300 workers were laid off permanently in July of 1957. The product line at American Motors was as different for the 1958 selling season as a canoe is from a three-masted schooner. Gone to dry dock were the grand Hudson and Nash marques. In their stead was a range of stylishly updated compact automobiles. The 117-inch wheelbase Ambassador by Rambler was the new corporate flagship, flanked by the smaller Rambler 6 and 8 models as well as the lovable 100-inch wheelbased Rambler American. The Rambler fleet was complete with the tiny Metropolitan, imported from the UK. Calendar year sales reached 5,389 units and Rambler held down 15th place in the industry, hard on the heels of the popular Morris. From St. John’s to Victoria, folks were enchanted with the quality and price of the Rambler lines. Sales simply exploded in 1959 to 9,231 units-and that was before adding in 911 British-sourced Metropolitans. Those figures catapulted the independent automaker into 11th place. Once the dust had cleared, Rambler was squarely ahead of Austin and gaining hard on Buick. Rambler’s success was being watched with close interest in Detroit. 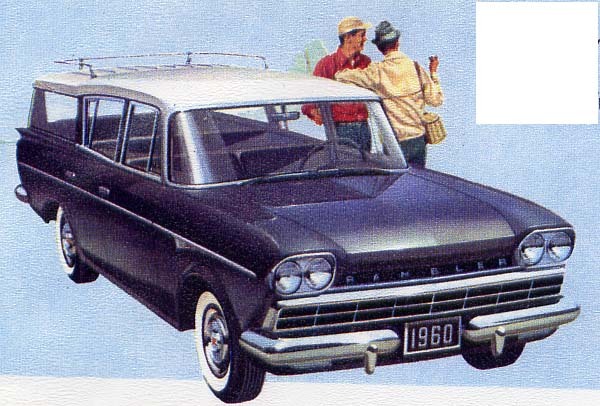 Analysts believed that Rambler would crack the 10,000-unit mark in 1960. If it did, it would be viable to built cars again in the Dominion. American Motors of Canada, Limited entered in its third year as an integrated company when the 1960 models were launched. Executives wisely decided that the corporate name was a real mouthful and the company would be known simply as Rambler Canada. The name rolled off the tongue as easily as hockey, beer, moose and snow. Everyone at Rambler Canada was nervous. With the manufacturers’ launches of their 1960 models, Rambler no longer had the field to itself. Studebaker had launched its Lark last year and it had captured 16.8 percent of the domestic pie. Now Ford fielded the Falcon and Frontenac and GM’s Chevrolet Division launched the Corvair. Chrysler Canada dumped DeSoto entirely and introduced the Valiant as its new compact brand. If Rambler were to succeed in such a crowded field, it would have to be more desirable than the competition. Prices for Ramblers--in Canadian dollars, f.o.b. Kenosha, Wisconsin--ranged from $1,996.97 for a thrifty Rambler American to a whopping $3,508.26 for the ritzy nine-passenger Ambassador Custom 8 station wagon. 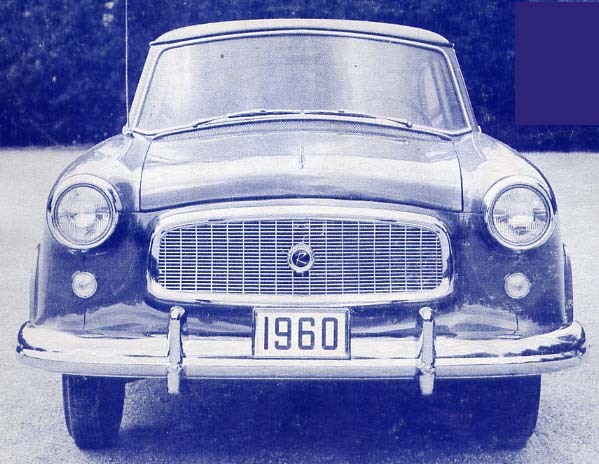 While Ramblers’ prices started with the competition, they ranged far higher than other domestically built compacts. Drawing on their upscale Nash and Hudson heritages, Ramblers simply dripped in value and the higher priced models vied with Cadillac in luxury. Ambassadors sported new mesh grilles. Last year’s mile-high fins were reigned in sharply and now appeared as tasteful accents over smart cathedral tail lamps. 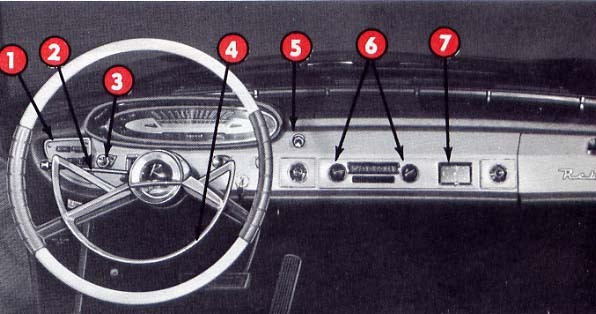 A new instrument panel offered easy-to-read gauges and dials in an oval cluster. There were eight posh Ambassadors to tempt consumers. The compact luxury car offered virtually every amenity found in Cadillac, Imperial and Lincoln save the electric seats. Nash had introduced the first four-door hardtop wagon in the industry back in 1956 and this year’s version cost a cool $3,468.46. The least expensive Ambassador was the four-door Super 8 sedan with its $2,879,72 price tag. Lesser Ramblers included the Rebel Custom 8; the Rebel Super 8; the Custom 6; the Super 6 and the Deluxe 6. With prices starting at $2,346.09 and running up to $3,249, these sixteen offerings were the company’s bread and butter models. They competed directly with Valiant and the Studebaker Lark. The only Ramblers with two doors were to be found in the American line, which boasted two- or four-door wagons in addition to sedans. 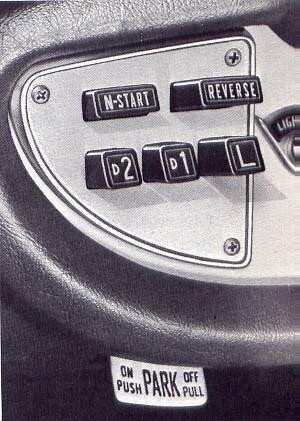 Automatic transmission and air conditioning were optional equipment, though far more were ordered with the chic extra-cost continental spare. Last but not least in the showroom were the Metropolitans. Updated last year with vent windows and an opening trunk, the little cuties from Britain now cost $1,895 for the hardtop and $1,945 for the convertible, f.o.b. Toronto. Though the odd Hudson and Nash owner came in to dealerships to trade, most of Rambler’s sales were what is known in the business as ‘conquest’ sales; that is to say that people traded other makes of cars for Ramblers. Folks were impressed enough to purchase 10,961 Ramblers and 616 Metropolitans, though the company dipped to 13th place in sales for the calendar year. Despite the percentage drop, actual sales were up and no one was discouraged in Brampton, not by a long shot. A glance at the sales chart revealed that the small car was no flash in the pan; the compact car was here to stay. Some 43,000 compacts had been built in Canada in 1960, another 18,000 brought in from the US and 177,000 imported from Europe. One out of every three automobiles sold in the country were—well—really small. Before recessing for Christmas, Parliament would pass laws to curtail the imports in an effort to preserve the domestic automobile industry. Of the Top Ten selling passenger cars sold in calendar year 1960, five were compacts. Volkswagen took third place with 31,146 sales; Vauxhall was fifth with 21,530 sales; Ford’s new Falcon enjoyed ninth place with 14,733 units sold and GM’s new Envoy held down the tenth spot with 13,089 sales. Rambler’s new factory in Brampton, Ontario would turn out its first car on Christmas Eve of 1960. Rambler was hot. Sales would sizzle like peameal bacon in the frying pan, as the little company would steal the Number Ten spot in 1961 with 11,946 Ramblers and 533 Mets sold. What a great story! The Canadian auto industry is just fascinating! !